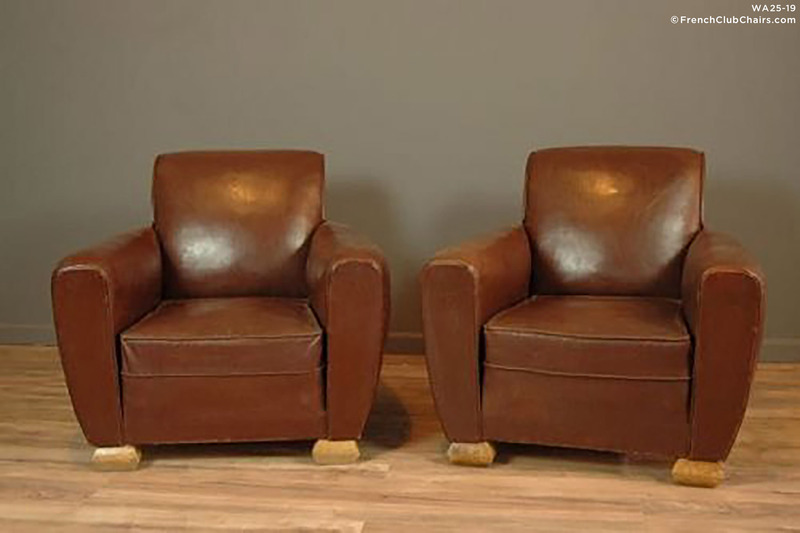 Calais Dark Slopeback Pair French club chairs circa early 1950s. This is a clean sweet pair featuring all original leather. They sit on the firmer side with a deep seat. Excellent overall condition. measurements: depth-35", width-35", height-31", seat depth-21", seat width-19", seat height-14"